If you’re looking for Pinot Noir recommendations, or winery suggestions for your next wine tasting trip, we spent a few days tasting wines from over 200 wineries earlier this month at the World of Pinot Noir and we’re eager to share our favorites. So, whether you’re looking to buy some wine to go with your next meal or for your wine cellar at home, please see below. We’ve sorted our preferences geographically in case that helps as well. 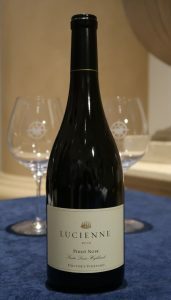 Are you familiar with World of Pinot Noir? 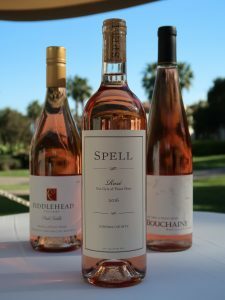 It’s a spectacular celebration of this varietal and the 2017 event on March 3rd and 4th saw the largest turnout of attendees (almost 3000) and winery participants (over 200) since its inception in 2001. 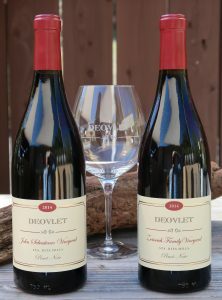 In addition to two separate Grand Tastings, the marquee events at this year’s celebration included Kosta Browne’s 20th Anniversary Dinner, a Maison Louis Latour Dinner and Seminar, and a “Rock Star” Dinner honoring Merry Edwards. We found plenty of excellent wines to recommend at the event, which isn’t surprising considering participating wineries included Alma Rosa, Au Bon Climat, Deovlet Wines, Fiddlehead Cellars, Freeman Winery, Goldeneye, Hirsch Vineyards, Merry Edwards Winery, Penner-Ash, Stephen Ross Wine Cellars, Sanford Winery, Talley Vineyards and Wayfarer. In addition to delightful still wines, we also found two excellent sparkling wines: a Blanc de Noir from Domaine Carneros and the 2012 Sea Spray from Sea Smoke Estate Vineyards. 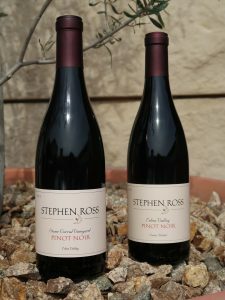 One of the major trends we saw at this year’s World of Pinot Noir was an increased focus on single vineyard Pinot Noirs. 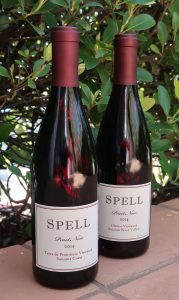 Some wineries already have strong identification with certain vineyards whose grapes they continually craft into awesome wines. 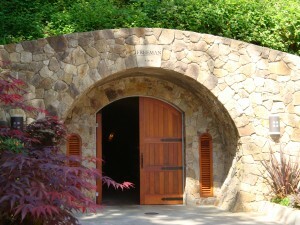 Chorro Creek (Stephen Ross Wine Cellars), Coopersmith (Merry Edwards Winery), Gee (Bouchaine Winery), Rosemary’s (Talley Vineyards), Sleepy Hollow (Talbott Vineyards), Wayfarer (Wayfarer) and Yu-Ki (Freeman Winery) Vineyards are all already known entities to us. But, one of the fun aspects of wine tasting is also discovering a personal affinity for vineyards which serve as the source of grapes for multiple wineries. Based on past experiences and confirmed by the wines we tasted at 2017 World of Pinot Noir, we know we are particularly fond of grapes from Ashley’s, Bien Nacido, Doctor’s, Fiddlestix, Gap’s Crown, Garys’, John Sebastiano, La Encantada, Presqu’ile, Sanford and Benedict, Saralee’s, Sangiacomo, Soberanes, Stone Corral, Umino and Zotovich Vineyards. 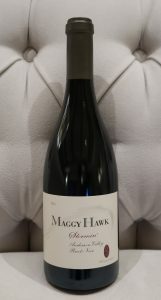 You’ll see evidence of that in our listing of Pinot Noir recommendations below. Well-prepared food usually goes quite well with Pinot Noir and there were plenty of pairing opportunities at World of Pinot Noir. 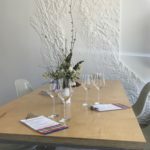 First of all, we had the pleasure of pairing wines with delicious cheeses from Fromagerie Sophie, a delightful cheese shop based in San Luis Obispo (1129 Garden Street, 805-503-0805). Some of our favorite samples at the event were Brie from Paysan Breton, Ossau-Iraty, Adelegger, Sottocenere al Tartufo, and Regal de Bourgogne aux Moutarde de Meaux. 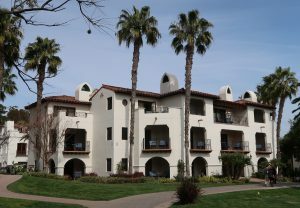 In addition, the host hotel Bacara Resort and Spa was serving Assorted Cured Meats, Vegetable Crudité with Mezze Dips, Kobe Sliders, Truffle Fries, and variations of Macaroni and Cheese to enjoy. We also discovered two local chefs and their cookbooks at the Grand Tastings. 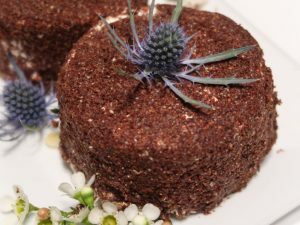 Chef Robin Goldstein was serving delicious Gorgonzola-Stuffed Dates and Goat Cheese Truffles with Dukkah Spice, reflective of her retail spice business and her cookbooks A Taste of Ojai and A Taste of Santa Barbara. 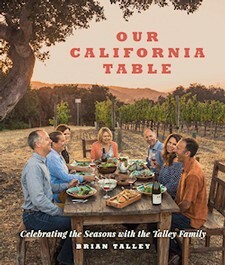 In addition, Brian Talley (of Talley Vineyards) was celebrating the release of his new cookbook Our California Table featuring recipes such as Dungeness Crab with Pink Sauce, Raspberry Pie and an easy but awesome Orzo and Spinach Salad with Feta and Toasted Pine Nuts. 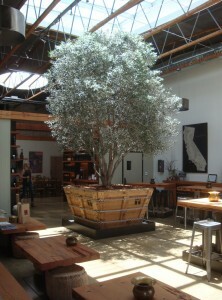 We hope you find our Pinot Noir wine and winery recommendations above helpful. 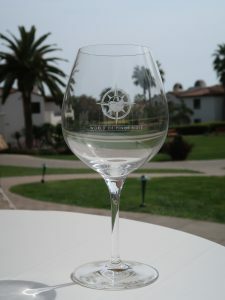 We (and many others) had a wonderful time at this year’s World of Pinot Noir at the beautiful Bacara Resort and Spa. Proceeds from the 2017 event’s charity wine auction will go towards supporting enology and viticulture education, and next year’s event will occur at Bacara on March 2-3, 2018. So, mark those calendars and please join us next year.